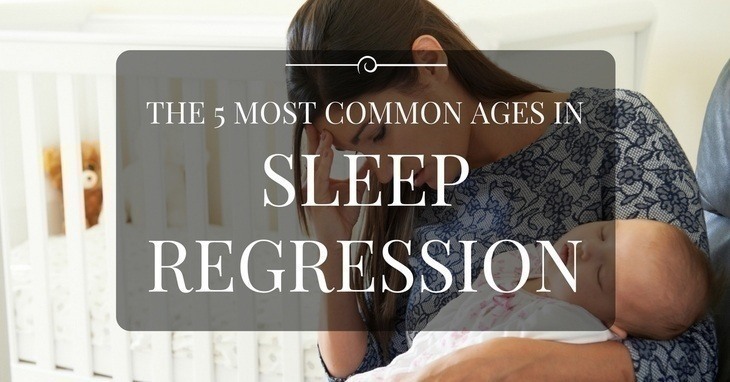 →Weird Facts On The 5 Most Common Ages (3-21) In Baby Sleep Regression: Should You Worry? There’s nothing cuter than a soundly sleeping baby – it’s one of my favorite pastimes, to be honest. But on the other side of the coin, there’s nothing worse than your tot having troubles staying in dreamland. Okay, there could be worse things, but you know what I mean. These sleep-deprived babies are not just cranky and fussy; they might be having feeding troubles too. 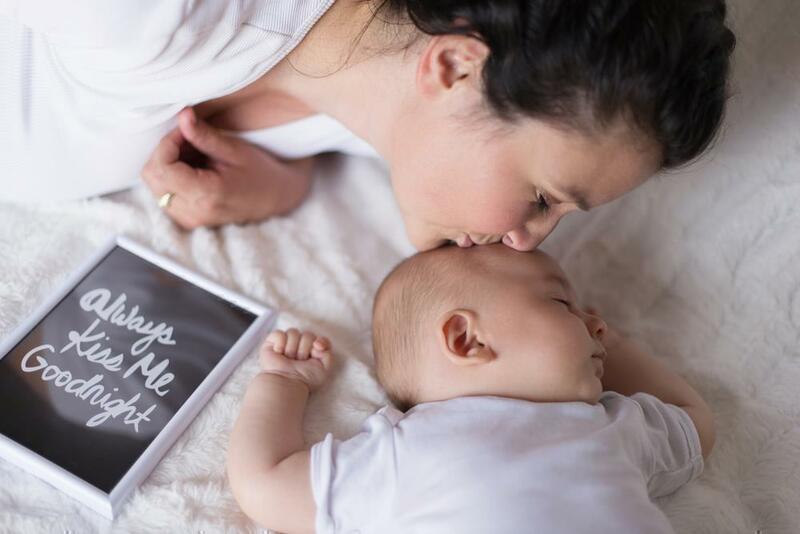 More notable for first-time parents, it can be very stressful if the little one refuses to take naps during the day and wakes up every few hours at night. This sleeping nightmare is not permanent, so let's check out the 3, 7, 8, 9, 10, 11, 12, 15, 21 month old baby sleep regression. It’s when your baby’s sleep is becoming quite a mess. Sure there could be other causes such as teething pain associated with sore gums, earaches, infections or sometimes colds. But if he’s not feeling any of those mentioned above, then it’s safe to say he’s going through sleep regression. You as a parent will wonder, “What just happened?” Because the thing is, some wee ones may be sleeping well today and not tomorrow. You’d think something’s wrong but it could be part of their changing sleeping needs and habits. 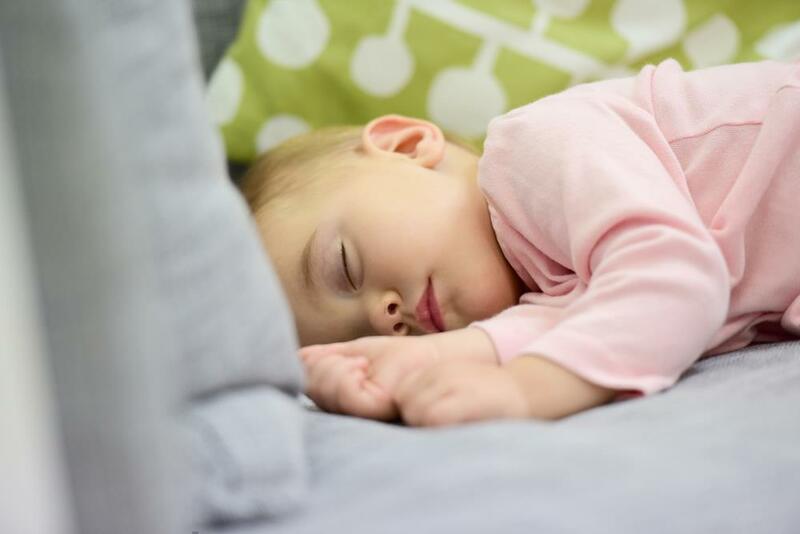 Remember when infants sleep more hours than toddlers? That transition might coincide with the regression phase. Also called ‘growth spurts,’ several things can happen at this time, and you won’t like any of them – shorter naps, constant wakefulness in between sleep, irritability, and a non-stop need to be held. Your once happy all-smiles bundle of joy will seemingly turn into a clingy, grumpy infant overnight. It’s probably the earliest time for sleep regression to start. For some, this could occur at 4 or 5 months and will most likely shock first-time parents. 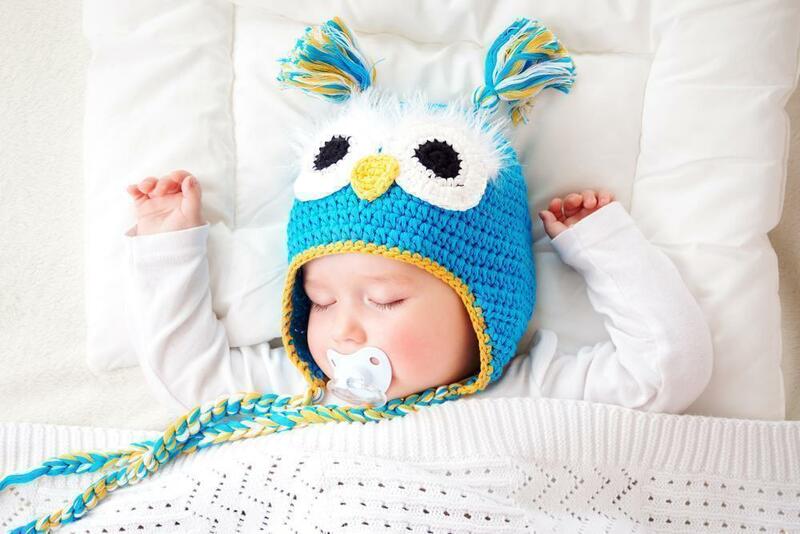 Before, your infant almost immediately falls soundly asleep. At this time, they’re starting to mature and contrary to how their brain worked when they were smaller, they’d be much more alert at this point. Also, they will begin following the various stages of sleep: drowsy, light sleep and deep sleep. They’re starting to adapt to an adult’s sleeping pattern. Some parents would complain that their kid used to snooze soundly at night (for 7-8 hours straight), and suddenly, he would wake up frequently at night (around every 2-3 hours). It doesn’t just affect the baby. Most likely, it will have a ripple effect on the entire household especially if they wake up with a tantrum – with some crying and wailing into the mix. The important thing here is patience. Your little one needs YOUR help falling back asleep. It would be best to set an early bedtime and be consistent with your routines. And please try to avoid lulling him to sleep with a rocker. The best option would be putting him in the crib. Just when you think you’ve gotten over the first sleep regression phase, here it comes again knocking on your door like an unwanted guest. When my boy was experiencing this, he would often wake up at exactly 2 AM – crying and wanting to be held. It was another tough time yet again. You see, sleep isn’t the top priority of your little one right now. I mean, he has just become an eager explorer! He can crawl, roll over, scoot, sit without support, pull himself up to a standing position or even cruise around. He’s probably thinking, “Why would I sleep when I can just have fun?” He’s better in communication and may also start teething. With so many things happening in his body, he won’t be that eager to hit the sack. Also, from 3 naps per day, it will now decrease to only two which is another thing to take note. The transition requires that the little one be able to make up for the lost sleeping hours until he has adjusted. At this stage, you don’t have to fret. He’s just learning the ropes of his new milestones and will eventually learn to prioritize sleep again. It’s still essential to be consistent with your routines, BUT you may now be a little bit flexible with his bedtime. If he’s used to sleeping at 7 PM, you may want to start earlier and go for 6 or 6:30. Oh, hello there sleep regression, it’s been a while. LOL. At this age, kids would mostly sleep for 12 hours every night with little distraction or disturbance in between. And out of nowhere, it’s like you’re back to square one. They would begin fighting their naps (mostly the afternoon ones), and you find yourself with bedtime struggles on your plate again. It happens because it’s at this age when your baby has started walking (the ultimately FUN activity at the moment). They could also be teething (but don’t always blame sleep deprivation to this) and there’s another nap transition (from 2 per day to 1). That’s a lot to take in which is why you need to make bedtime earlier once more to avoid exhaustion and overtiring on the part of your little one. And while it’s very tempting, avoid creating bad habits like putting him back to sleep with milk or carrying him from his room to your bed. What you can do to help him fall asleep again is to go to his room and tell him you’re just beside the crib (also called verbal reassurance). You can go for a few hugs and some cuddles but try not to carry and rock him. I used to think if my boy slept later, then he’d wake up late too. That’s a wrong notion. If he goes to bed early, he’ll have more sleep and will likely wake up late (which is what all parents want). At this point, you’re probably like, “When will this ever end?” I’m afraid there are still a few bumps in the road for you. For other moms, this stage could happen at 18 months, but it’s still the same experience. However, it’s not going to be as bad as the first one. Toddlers love testing boundaries (what with their newfound independence), and sleep is no exception. Remember, they will now say NO to you just because they can. It’s also this time when they’re starting to feel separation anxiety (it peaks at 10-18 months). When my little boy was at this age, he’d constantly look for me, and he made it difficult for me to buy groceries or run errands alone. Sometimes, I had to duck and escape for him to avoid seeing me. Yes, he’s extra clingy. How is separation anxiety connected to this? He may refuse to nap or go to sleep, afraid to find himself alone without you around. Your plan of action will mainly involve discipline. And aside from that, you may also give him a security object so he can feel comfortable even when you’re not in the room. If he’s afraid of the dark, you can add a nightlight. Don’t forget to be very consistent and firm with his bedtime. By this time, your toddler’s waking hours have increased. Keep in mind that he only needs one nap every day. Again, I’d like to put some emphasis on an early bedtime because at this age, they seem to have an unlimited supply of energy throughout the day. The best you can do is compromise. Don’t cave in all the time and don’t be too hard on him also. I have to warn you, though, this may be tougher than all the other phases. Your little one wants to assert his independence, and you’d most likely find yourself bickering on the smallest things on a regular basis – especially bedtime. It’s important that you stay consistent, firm but also flexible if needed. If one reason for their wakefulness is their nighttime fear, you can reassure them verbally that you’ll just be in the next room and leave a dim light so it won’t be too dark. Some think this will pass. But if you won’t do anything to help, it might not. And no mother wants an overtired, sleep-deprived tot. It can lead to several problems and could boomerang on you – case in point, if the baby doesn’t get enough sleep chances are, you’re not getting it too. First things first, never panic. You’re a supermom; you can do this! Also, be sensitive to his changing needs. It’s never constant – what your little one needs now may be different next month and so on. What you have to do is establish a routine or schedule which will coincide with his natural sleep rhythm. Trust me; moms can ‘tune in’ to this. It has to be flexible enough. If your 3-month old used to play at 6 PM, feed at 6.30 PM then bathe at 7 PM; you may need to switch it up by four months. But don’t do anything major, a few minor adjustments will do. Rule of thumb: just do what works for you and your baby. At the end of the day, sleep regression will be just a phase, and it’s up to you to keep it that way. Our primary goal will always be to establish healthy sleeping habits, and that includes adjusting to the dynamic needs of your baby. I hope you enjoyed this post and relaxed at the thought that you’re not alone in these struggles. Tell us what you think in the comments!